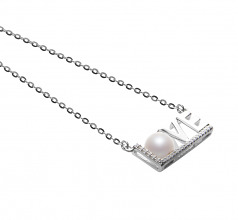 Brightly shining Love comes in a silver, 0.3-inch wide pendant connected to an 18-inch, rolo style neck chain. 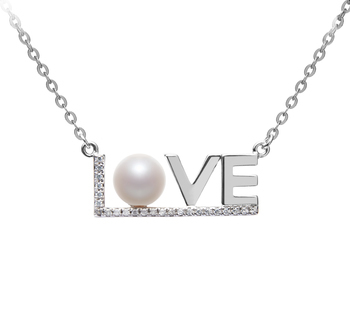 The letter L, lined with clear crystal stones, underscores the word, love while a 6.5-7mm, AAAA grade freshwater pearl stands in for the letter O. Flawless and unblemished, the white pearl adds a touch of stately beauty without distracting from the young and chic vibe of the Love necklace. 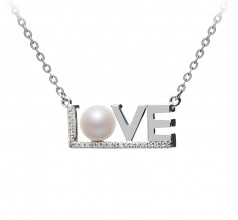 While young girls will adore the Love necklace, those young at heart will find a lot to like about this charming and fun piece. It’s the perfect accessory for casual shorts and tank, jeans and t-shirt, or casual office wear of dress slacks and button down shirt. 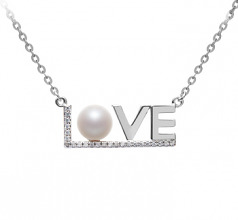 Love’s delightful design will keep you in style with its chic appeal. 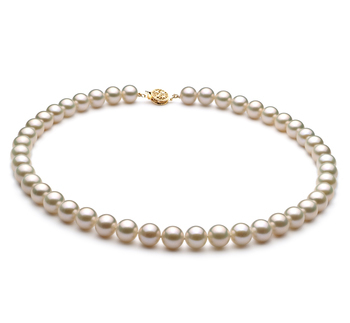 Show only for "LOVE Necklace"